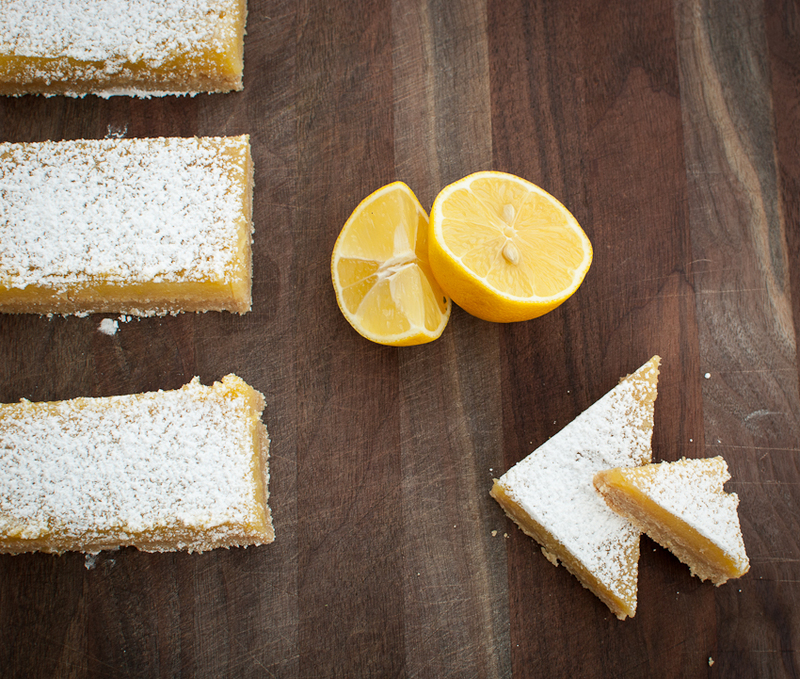 How can you go wrong when using lemons to make lemon bars? I mean, helloooo, the best of both worlds here. A buttery cookie crust topped with creamy bright yellow lemon filling. Oh my…. Sunshine in a bar! 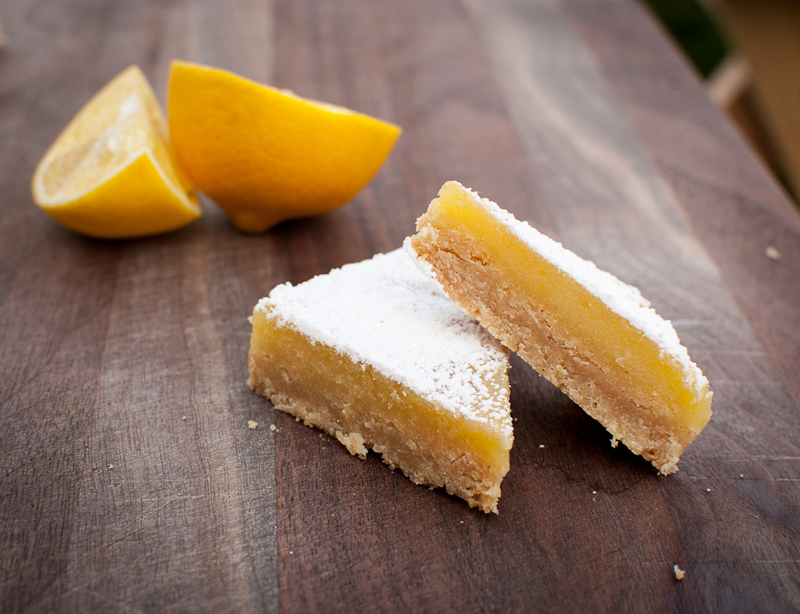 I’ve always liked lemon bars, always! While some kids turned up their noses to these bright yellow bars, I was the kid that took 2 or 3. I think it all started with my grandmother, at Thanksgiving she would always, I mean always, make a lemon meringue pie. Thanksgiving was unheard of without her famous yellow lemon pie! Coat a 9x13 pan with cooking spray for melted butter. To make the crust, whisk the flour and salt in a medium bowl. In a large mixer, beat the butter and sugar together on medium for about 3 minutes. Mixture should be light in color and fluffy. Add the vanilla and mix, reduce speed to low and add the dry ingredients scraping the sides of the bowl. Dough should be slightly crumbly. Place dough into prepared pan, and smooth out with your fingers. Press slightly up the sides of the pan. Bake for 25 minutes until lightly brown. Make the filling while the crust is baking. Whisk the eggs, sugar, and flour together. Stir in the lemon juice and zest, milk and salt. After the crust is done, lower the temp to 325 degrees. Pour the lemon filling over the hot crust and bake for 20 minutes. Let cool at room temperature before cutting bars. Dust with powdered sugar. Makes about 12 large bars. I’m SO impressed by your blog. The page, the articles, the sheer time you’ve obviously spent. It is just beautiful. 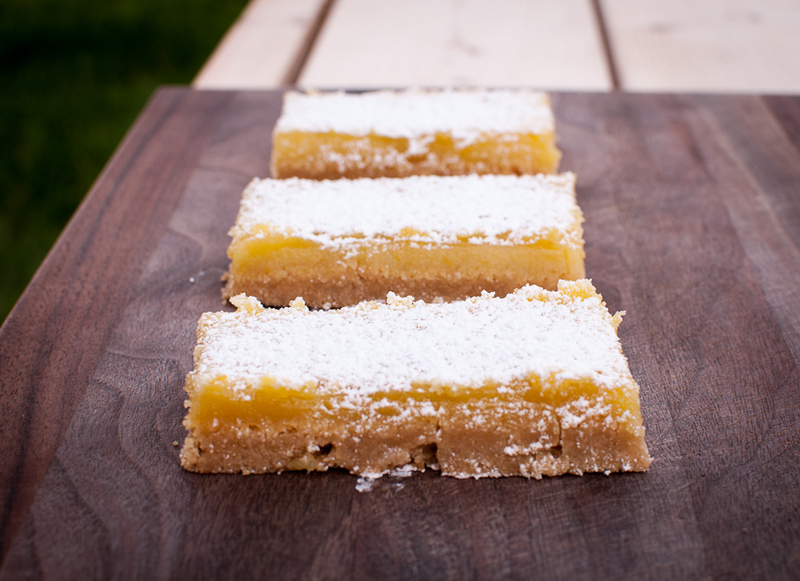 And, these lemon bars look fabulous. I’m pretty excited that I also have the knowledge that they taste as good as they look. Pinning now so I can make my own soon! Thanks for bringing these to the picnic, and I’m pleased to have now been introduced to your blog though I missed out on meeting you in person- looks like we’ll cross paths again at Tapas! Gorgeous photos everywhere!